In remembrance of those who have fought and are fighting for our freedom, especially our freedom to ride mountain bikes! Quality content is a-brewing here on Greg Rides Trails. I have several different series that I'm working on, and it was actually difficult trying to decide which direction to take this week. But as I mentioned a couple of days ago, I have a ton of quality content from Levis Mound to post up. I have yet to publish a review of the Levis Mound trail system, mainly because the task seems so daunting due to how much I know about those trails, and the incredible variety present in that trail system. To conquer that daunting task, I am going to begin with a trail review of the entire system, which should be live sometime tomorrow. 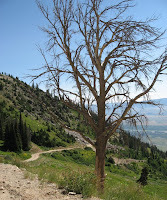 Because of the vast variety inherent in those trails (and because they are all so dang good), I am going to post a review of each individual trail in the system, and link to them from the main Levis Mound post. I currently have clips from about 75-80% of the trails, so there will most likely be a video (and photos) to accompany most every review and keep things entertaining! Should be an awesome week! Check back daily for new content! Your Turn: It's Memorial Day. I hope you all are getting some awesome mountain biking in over the holiday weekend! So where have you ridden this weekend? The intramural fields are located just off of the College Station exit on Loop 10. After exiting, head towards the inside of the loop. The entrance to the park/fields is very close to the bypass, and is pretty hard to miss. The trails begin either on the other side of the pond, or at the very end of the paved road into the park (for lack of a better word). 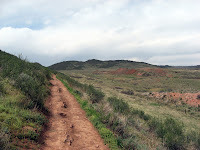 There are also several other access points, as these trails go every which way! 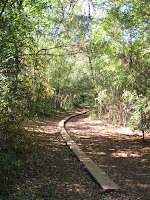 There is a trail that runs around the outside of the network, with trails criss-crossing all over the place inside of the loop. Imagine a spider web, and you'll pretty much have the trail map in your head. In all there are only a couple of miles of trails here, counting all of the different spurs. 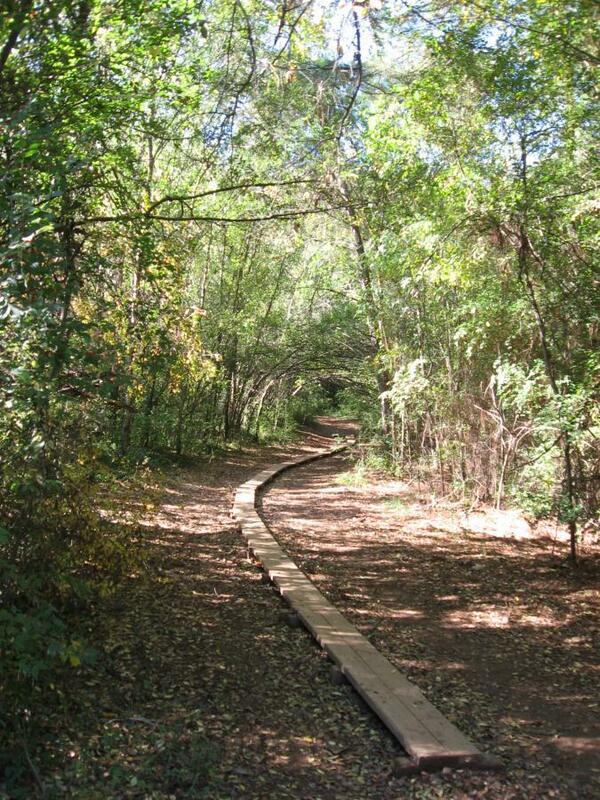 However, this area can be linked together with other urban trails in the area to create a much longer ride. 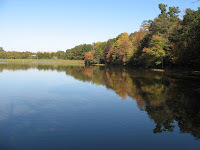 Despite the lack of mileage and anything remarkable whatsoever, the IM Fields are worth a mention because they are the most popular in-town mountain bike ride in Athens, Georgia. 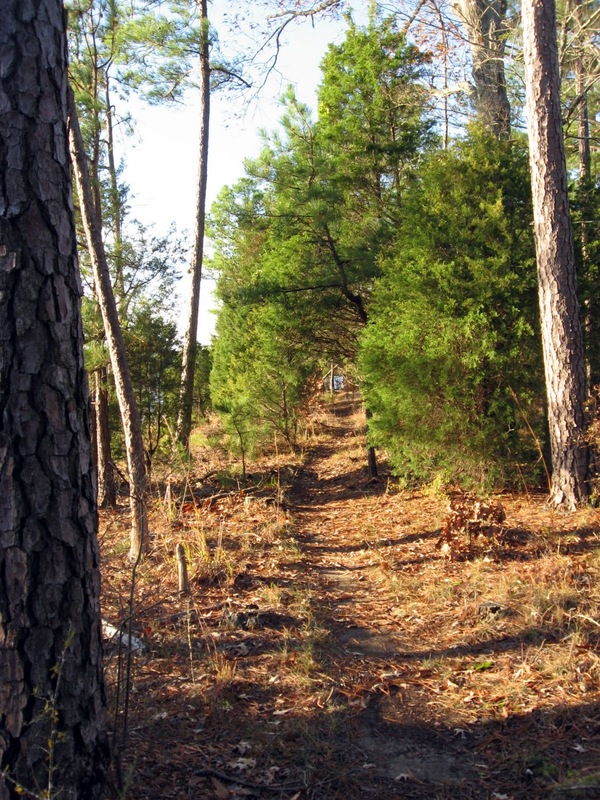 While the amount of wooded area that contains these trails is very small, it is possible to get a good little ride in by going back and forth across the circle on various different trails, and circling the entire area several times. As the most popular in-town mountain bike destination, there are several small bridges throughout the trail system, including one long skinny, and several tough slightly elevated skinnies built on a downed tree. There is also a section of switchbacks constructed by local mountain bikers, a few jumps, and an abundance of extremely rooty trail. 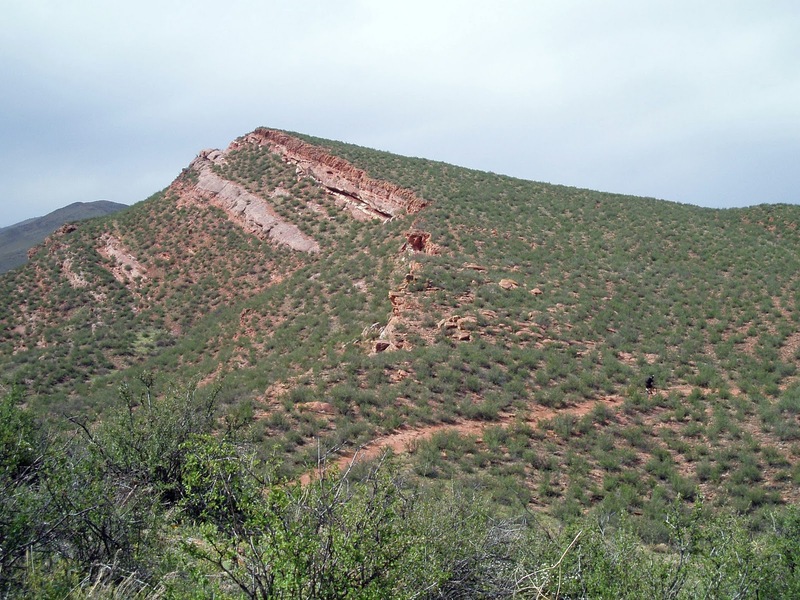 Despite the lack of any serious elevation gain or loss, there are several areas that are pretty technically challenging! Great place for in-Athens locals to ride without having to get in the car. 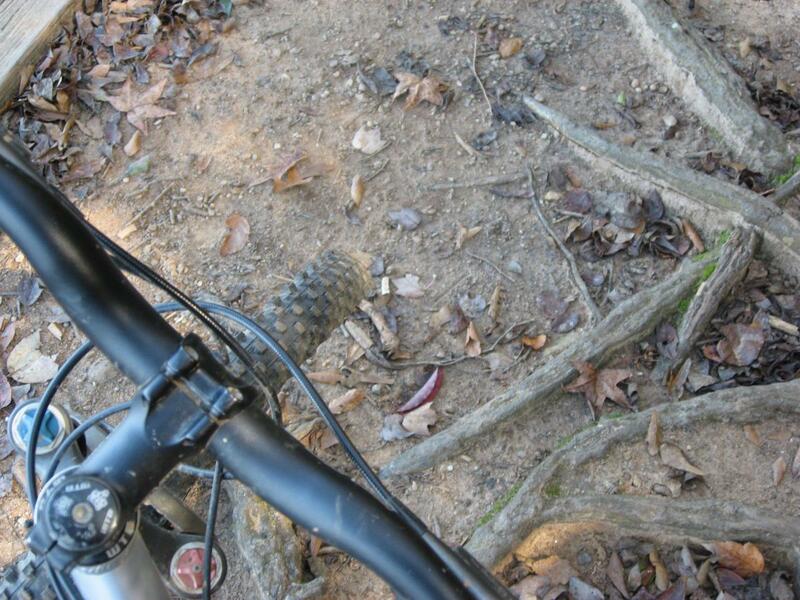 Grab your bike, and ride to the trail! Otherwise, this isn't worth much of a drive. After my epiphany about the nature of the dark side of mountain biking, I concluded that it would be best to just keep biking in order to keep the undesirable side effects at bay. However, as we all know, it is not always possible to "just keep riding." It seems like I am constantly breaking something on my bike. If I go a month without something going to bits, I begin to wonder what's wrong, or if my frame is going to suddenly deconstruct itself. Hopefully soon I will be the proud owner of a second mountain bike, with one to fall back on when my main ride breaks down. I have waged a vicious war against broken parts and repair costs, and right now I'm loosing as my Jamis is out of commission. I am supposed to be getting a brand new Airborne bike any day, and when that arrives, I will be on top of the battle yet again! Injuries have taken me off the bike more times than I'd like. Sometimes it's been little thing like stitches in the wrong place, a nasty crash leaving me seriously banged up and bruised, and others. The most significant time was when I crashed jumping my mountain bike, earning myself an ambulance trip to the E.R., an MRI, and a massive concussion. That took me off the bike for two precious weeks out of my summer in Colorado, and cost me the ability to lead one of the wilderness trips I was scheduled for at the camp I was working at. Injuries happen, and I hate being held back by them! "Malady" may not be the right word, but what has drawn me to the dark side of the sport recently has been my back. I have been fighting back pain for the last two months, and save for one week when it let up for some odd reason, it has only gotten worse. About two weeks ago I decided I had had enough, and saw a chiropractor several times. He informed me that it was a muscular issue resulting from overuse. He was right, but the chiropractic care wasn't helping. I saw a real doctor at the beginning of the week, and now I'm on muscle relaxants and prescription pain pills. Too bad the pills aren't strong enough to mask all of the pain I'm in. As a result of the bike issues and the back issues, I have not ridden a mountain bike in over two weeks. I have been experiencing the full power of the dark side of mountain biking. I am there. Exactly what I wrote about the other day--that's me. Yes I've been depressed, wondering how much longer I'm going to be off for. I will do my best to keep a steady stream of blog content, but I have to confess, I'm losing inspiration. I do still have a lot of footage to sift through from my riding exploits in Wisconsin. Some of that may pop up here soon. Your Turn: A little sympathy and encouragement would be much appreciated. PS After proofreading that post, I realized that that's a horrible picture of me in the morning right after I woke up. Should be good for a laugh though, so it's going live! PPS Don't forget to VOTE for GregRidesTrails! I know it's not usually like me to go a whole weekday without a post (I aim for at least 6 posts a week, sometimes taking Sunday off), so I don't want to leave you all totally hanging out to dry. 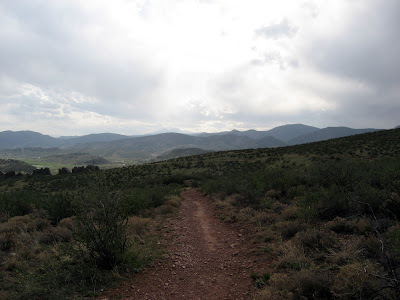 The main reason for the lack of a post was that I thought yesterday's was off the chain and wanted to give everyone a chance to read it, and as you will read tomorrow, I've not had much singletrack-driven inspiration to run off of lately. Also, if you haven't done so yet, be sure to VOTE for GregRidesTrails in the Cranklisted.com cycling blog contest! That would make my day! 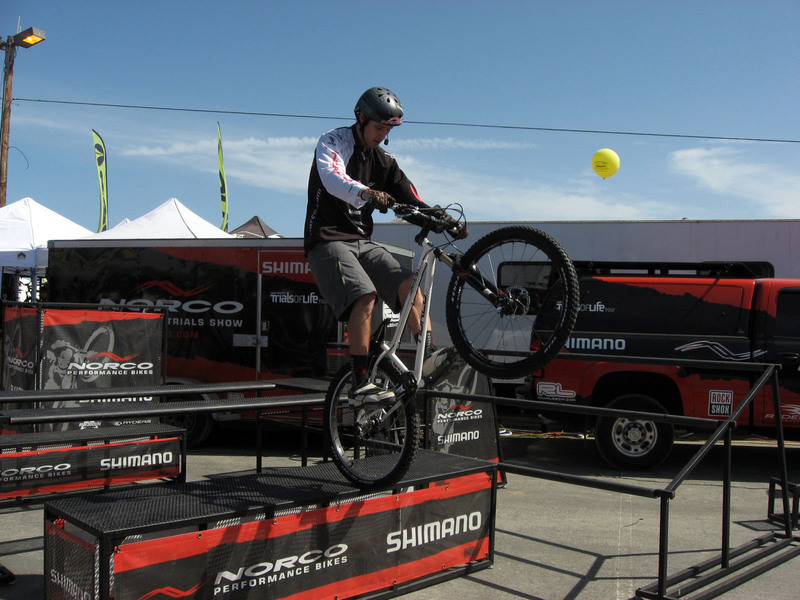 What a mountain biker hates the most about being a mountain biker is not being able to mountain bike. That may seem like a no-brainer, or that statement might not make any sense at all. 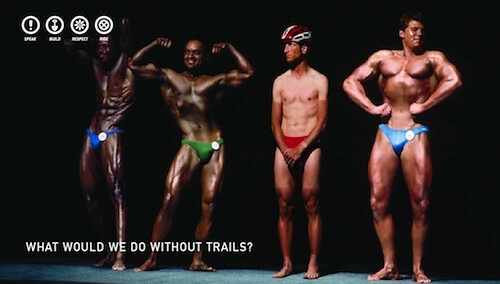 But to a mountain biker it makes perfect sense. Mountain biking is an incredible rewarding and fulfilling sport. It is a gateway to many beneficial effects: entertainment, relaxation, physical fitness, camaraderie, an appreciation of nature, and more. But as a true rider knows all too well, this sport has a dark side. That nasty backlash occurs when the rider can't get out and ride. When all of these amazing benefits inherent in the sport suddenly disappear, depression and withdrawal symptoms appear out of nowhere turning the once go-lucky mountain biker into an apathetic wreck of a man. "Depression and withdrawal, isn't that a bit much?" No, it's right on the money because mountain bikers are addicts. It is absolutely true, we're all addicted. Now, with a regular fix, most of us can continue to live normal lives. 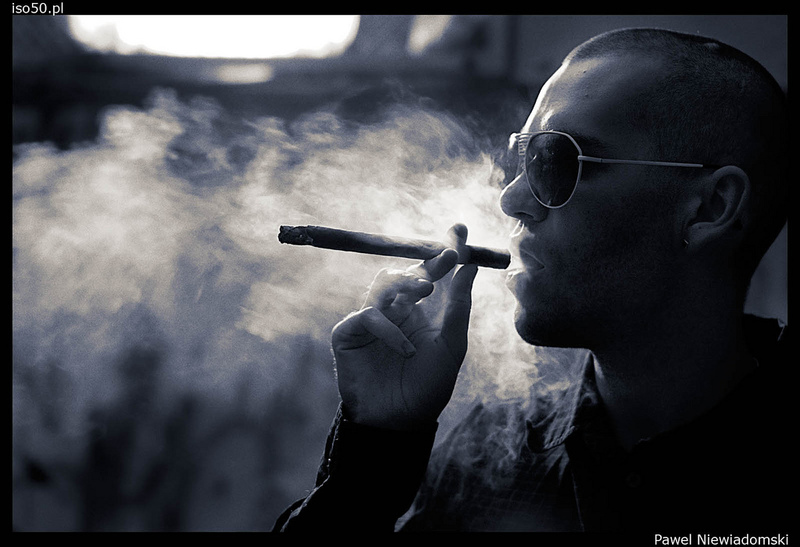 It's like a smoker who survives in society, but only because of their frequent breaks from work to light up a cig. Or an alcoholic, who gets buzzed every night (and more on the weekends) but still manages to hold down a good job and maintain decent relationships. 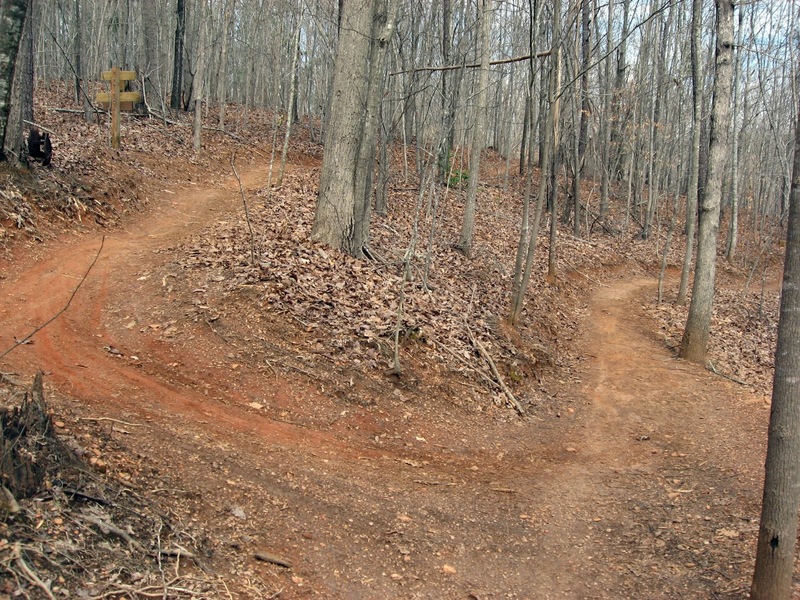 At times, we singletrack addicts can set aside our sport of choice for the greater good of family, friends and God. We even know that riding is not nearly the most important thing in this life, and it actually is not even our main priority. Yet somehow we are all still addicted, because when the repetition of dirt-trail and rocky-obstacles is removed, the dark side of mountain biking emerges. The depression sets in. I know that if I didn't ride for long enough, these dark times would eventually fade--I would make it through the withdrawal stage--and that other pastimes and sports would jump in to fill the gaps, providing the things that I need to live a well-balanced life. But then it occurred to me: if mountain biking is good and wholesome as long as I'm actively doing it, and only dark and sinister when I desist for one reason or another, the best course of action must obviously be just to not stop mountain biking. And so I will continue to ride, basking in the warmth of the sun and living a good, balanced life. But something inevitably happens to cause the frequent riding to subside, and mountain biking will show its dirty dark side yet again. Your Turn: Is there a time when you could not ride for an extended period, and you experienced mountain biking's dark side? Please share about it in the comment section below! From Fort Collins, get onto Taft Hill Rd heading south towards Loveland, once you pass the land fill on your right go another 1.5/2 miles till you see the parking lot on the right hand side. 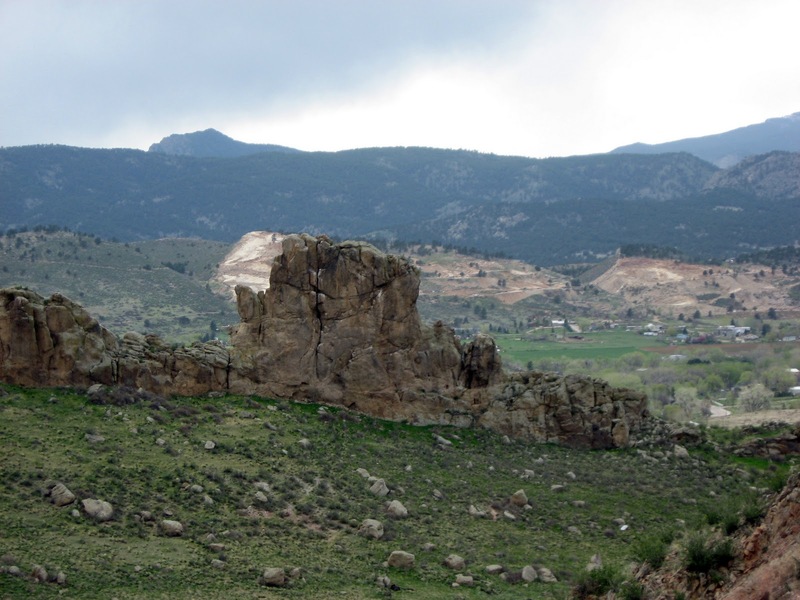 From Loveland, get onto Taft Hill Rd heading North, if you pass the Fort Collins land fill you have gone to far, turn around and follow the directions above. 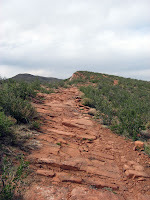 The "Coyote Ridge Trail" is technically about a 7 mile out-and-back (3.5ish each way). 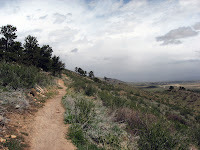 However, this trail connects to a massive trail system spanning all the way from the trailhead described in the "Getting There" section of the Devil's Backbone listing, all the way up past Coyote Ridge to the Horsetooth Reservoir and Lory State Park. I estimate that there as about 40-50+ miles of trails out there, if only ridden in one direction. 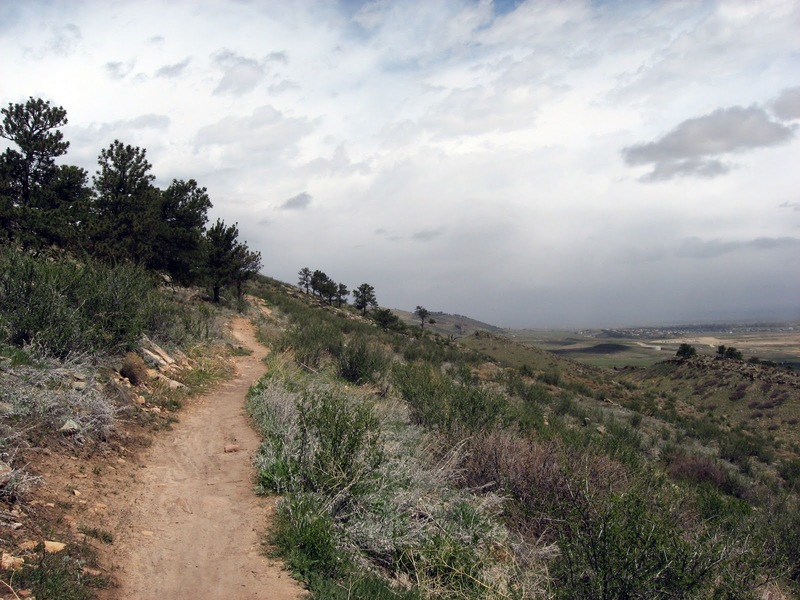 If you are a local and have more detailed information about lengths and the other trails in the area, please leave a comment below! Don't let the first couple miles of gravel doubletrack fool you! 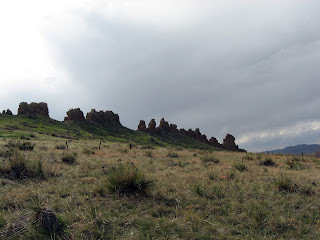 It is just the approach from the parking lot to base of the hogback. And once you reach it, be prepared to grunt a little! The trail then climbs continuously to the top of the ridge for over a mile on what is now rockier, yet still pretty wide, singletrack. 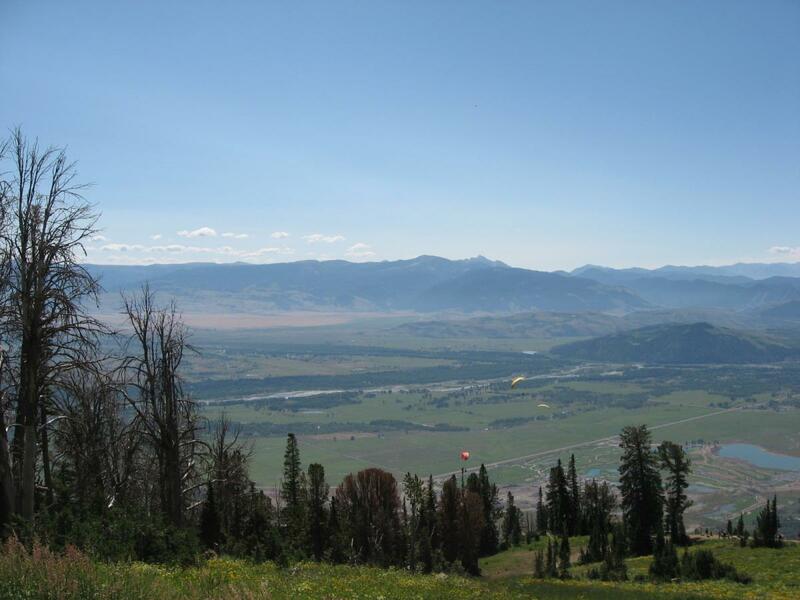 Upon reaching the top of the ridge, you are greeted both with the satisfaction of a climb well done (or the disappoint of being out of shape and having to push), and incredible views of the surrounding area! The Coyote Ridge Trail then narrows even more and travels along the ridge line, dishing up some deliciously technical singletrack! I had a hard time keeping my eyes on the trail because of the gorgeous views of the mountains, and it almost cost me once or twice! 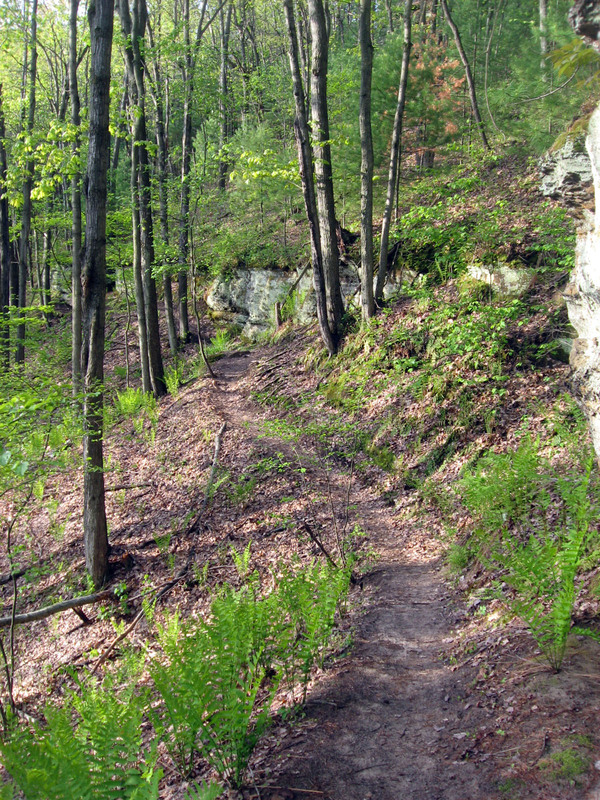 After running along the ridge, the trail drops steeply into the valley on the other side. And when I mean steep, I mean hike-a-bike steep! 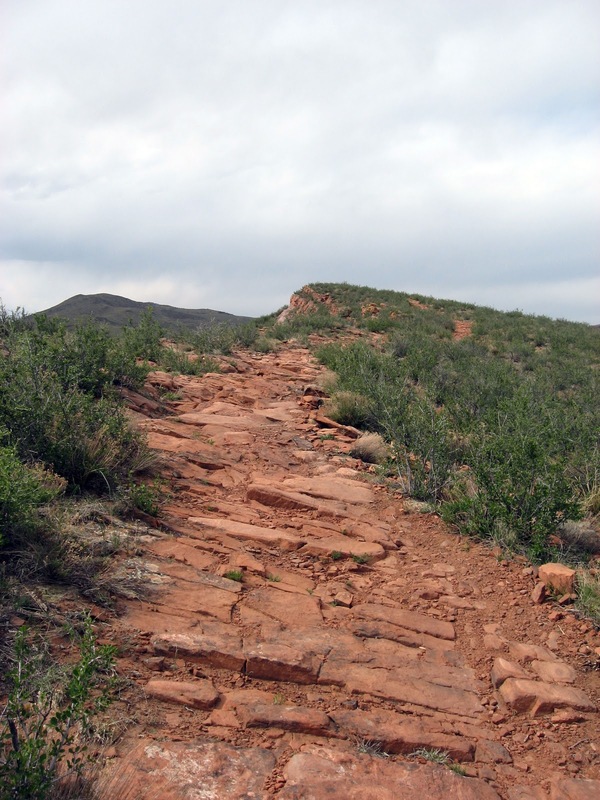 Part of the hike-a-bike consists of rocky ledges, but the majority consists of man-made steps leading down the steep hillside. Following the hike-a-bike are several well-built switchbacks, and a short, swoopy descent into the bottom of the valley. 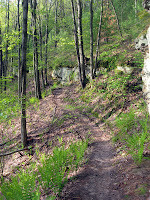 As I mentioned in the "The Route" section, this trail continues on to connect with the main trail system in the area. But as I reached the bottom of the valley, rain clouds that I had been watching blow my way down from the mountains to the north finally reached me, so I decided to turn and head for home. The return ride was even more fantastic than the one going out, as I now had the long initial climb set up as a descent. Dang, I love Colorado! 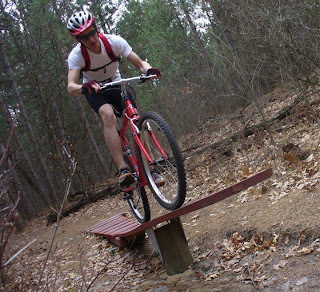 In my book, the epitome of the mountain bike experience is railing downhill at high speeds. And Coyote Ridge dishes up plenty of that! Despite a lame gravel spin approach, there are great views, technical singletrack, and a sweet downhill which combine to make yet another amazing Colorado trail to ride! 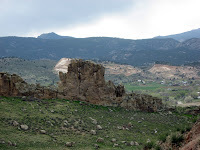 Coyote Ridge, Loveland, Colorado from Greg Heil on Vimeo. Hello to everyone coming on over from the Crank Listed / Loving The Bike blog competition! I'd like to officially say hello, and welcome to my blog! If you're wondering whether or not Greg Rides Trails is worth your vote, I invite you to check out the different tabs along the top of the page, especially the "Trail Review Series" tab and the "Tips for Beginners" tab. So feel free to take your time, look around, read, watch some videos, drop a comment here or there, and enjoy yourself! If you like what you see, be sure to vote for GregRidesTrails.com, and possibly subscribe to my feed using one of the options on the right hand bar! A couple of weeks ago I wrote about 3 different contests that were taking place: one on my blog, and two other places on the internet. The one on my blog has finished, and you can read about the contest winners here. 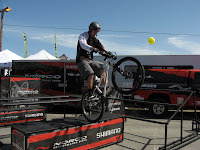 The other two competitions are still in full swing, including a video contest over on Singletracks.com. You can view my video and vote for me here, and help me to win a free iPod touch! However, the contest that I am most interested in is the "World Cycling Blog Honors" over at CrankListed.com. A couple of weeks ago I had mentioned it in my blog post, and accessed for people to nominate me. Now, I don't know how many people went over and nominated my blog, but somehow someway GregRidesTrails is in the top 5 finalists in the mountain bike category! I don't know what that says about the competition but hey, I'll take what I can get! I did not think I had any chance of winning, or even being a finalist... yet here I am in the top 5! So the one thing I ask of you, my readers that have gotten me this far into the top 5, is to VOTE! 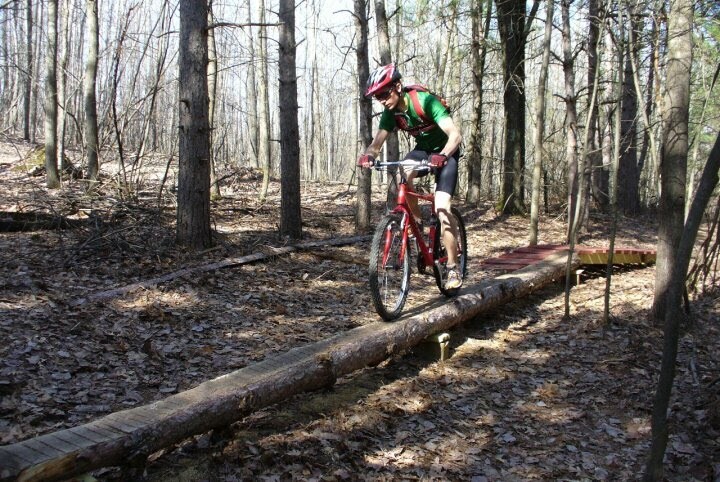 CLICK HERE TO VOTE for GregRidesTrails.com in the mountain bike category! Will I win? Who knows, but might as well give it my (our) best shot! At least the most massively famous mountain bike blogger, the Fat Cyclist, ended up in the cycling lifestyle category so I don't have to compete against him. So maybe, just maybe, I have a chance! So go check it out here! A month or two ago I wrote a guest blog for Singletracks.com, in which I briefly touched on the most fundamental skill inherent in mountain biking: looking down the trail. One of the fundamental skills of mountain biking is keeping the eyes up, looking down the hill and reading the trail. The general rule is: the faster you’re going, the farther ahead you need to look. As a beginner, this flies in the face of the instinctual urge to stare at your front wheel. This deceptive urge must be overcome. If you look down the trail, you know what’s coming at you. Your brain will remember what you have already seen and where your front wheel is going and what is directly in front of you. If you are staring at where the front wheel hits the ground, however, you will have no idea what is coming down the trail. Roots and rocks will catch you by surprise and cause you to crash. Quick hills and turns will come up suddenly and if you’re not looking ahead, you’ll shift late, and lose your flow. One of the key things that needs to be added to the above summary is that wherever you are looking, that's where you will go. 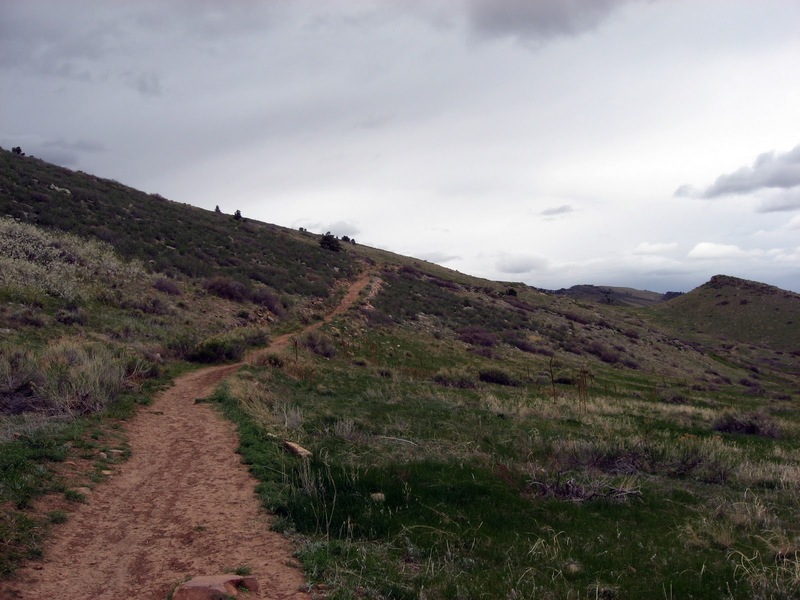 If you are looking straight down the trail in your intended direction of travel, the odds of ending up there in a matter of seconds are in your favor. If, however, you are staring at a tree or rock you don't want to hit, you will probably hit it. Instead of staring at that tree or rock, you need to look past it to where you want to go. The same holds true on a really exposed, bench-cut trail. 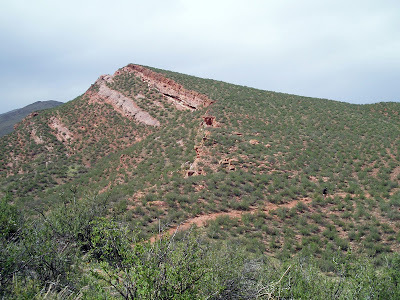 If you look over the side and down the hill to where you don't want to fall, chances are you may end up veering off the trail (or at least coming close to it). Instead, keep your eyes trained ahead, looking at the singletrack, narrow and exposed though it may be. If you keep your eyes fixed on your intended path of travel, you will make that intention become a reality. This skill is also the key strategy to riding switchbacks effectively. I will write more about that soon! 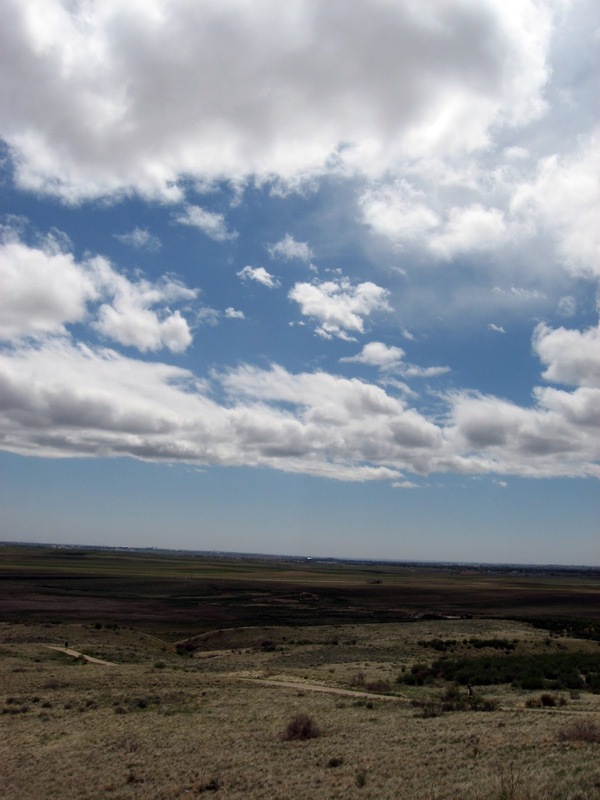 What have been your experiences with looking down the trail? When has it helped you, and when have you fallen because you weren't looking far enough ahead? Do you have any tips for helping teach beginners how to look ahead? To give you an idea of the difficulty involved, typical construction costs for bike trails are in the neighborhood of $3-5 per foot (that’s about $15 - 25K per mile) but a foundation jacks that up to $10-15 per foot (as much as $80K per mile)! Of course the professional trail builder will have objections. But you’re already proving my point by saying that $80k is outrageous, and the avg. cost in the area is $2 per foot, which is $10,500 per mile where the previously quoted low-end was $15-20k which is 50-100% more than the price that you quoted Seenvic. So for arguments sake lets look at the 25 miles you put in at FATS in 7 months. At $15k per mile the cost would be $375,000 and at $20k it would be $500,000 as compared to $262,500 at $10.5k. We’re talking a big difference in prices here Seenvic. And now $80k per mile… that’d be $2,000,000 for 25 miles. So the price you quoted was substantially lower than all of the prices in the above article. Now, if developers and land managers see figures like that (the above article) when they think of adding mountain bike trails, we will never see more singletrack than we have now. Also, the trails you listed are good. And FATS is really good. You have made a great point. But i still stand by my original assertion that some of the best trails I’ve ever ridden have been volunteer-driven masterpieces. PS I’m not trying to make any personal attacks here, I’m just looking at the economics of all of this. I’m sorry if you took my initial comment as one. One thing I’ll add here: The guys from Blankets Creek mentioned they spent around $50-60K for the newest loop out there (5 miles or so?) and estimated it would have taken them 3 YEARS to build it by hand using volunteers. Instead they got a new loop in just a few months. 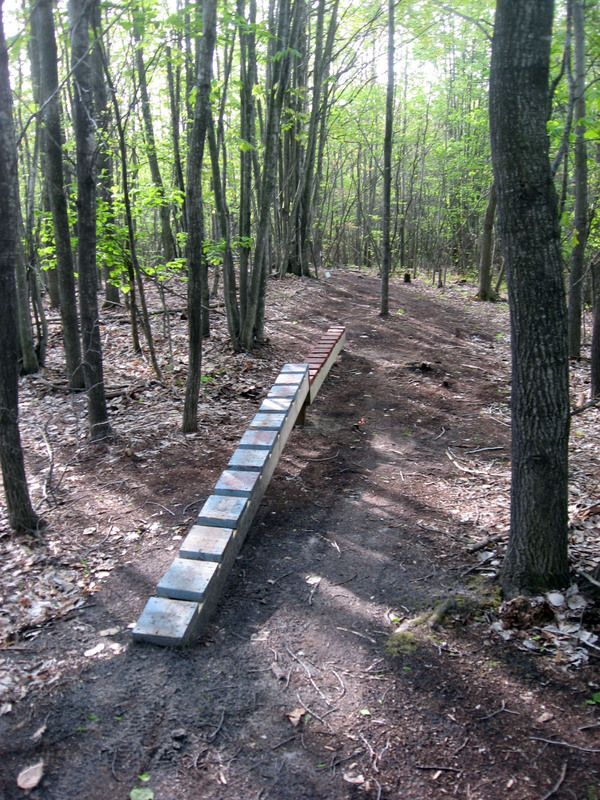 Time is money and building new (sustainable) trails has a big cost no matter how you do it. I gave you a list of trails that were professionally built. Many I know you have ridden and loved. Now do me a favor and give me a list of the best trails you have ever ridden that were volunteer constructed. Name a few of them. Sure, fine, I definitely don’t have as much experience as you or a lot of people. And point about the speed that the trails were built well taken. However, as to my original point, it’s still a lot of money. There are some areas of the country that could in no way afford to spend that much money on a trail system. As I am “naive” I can only speak about areas that I know well, so I’ll take the county I grew up in. My dad is the county forestry and parks administrator, and manages/oversees the expansive forest, parks, trails, etc for the county (no state or federal land) (and the counties in Wisconsin aren’t like the dinky little counties here in the Southeast — they’re large). I know the financial state of the county, and there is no way they will ever be able to spend $35,000 on building a trail, much less $350,000. In fact, there currently is a policy in place banning the building of new trails of any sort anywhere on county land, for just that reason. Now, anyone from the Wisconsin/Minnesota/Northern Illinois area knows that Levis Mounds (on County forest land of the county in question) is one of the best if not THE best trail system in the Midwest. It was built from the ground up by volunteers, and mainly by two men, both of whom I know, and one of whom I know really well. The latter has been a friend of the family since I was too young to remember, and he got me into mountain biking when I was in high school. I’ve heard the story of how the trails were built and the evolution that they’ve gone through. The thing is, I didn’t know how good those trails were until I left and moved around the country. I learned to ride on those trails, but I didn’t realize that I had pristine, beautifully built singletrack in my backyard. Being in central wisconsin they don’t have the massive vertical gain or big downhills of the rocky mountain, but as far as quality trail construction and creative engineering complete with plenty of “Holy crap” sections, well, let’s just say whenever I go home for a visit I bring my riding shoes. How does that work? Awesome volunteers. But as you mentioned, volunteers like that are few and far between. PS sorry if that was a bit long winded. 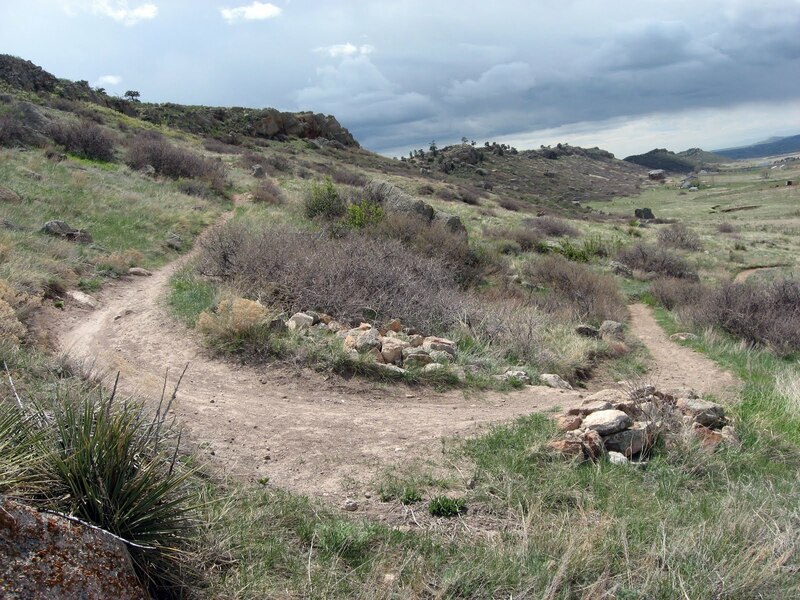 Another user jumped in and added that in his area of Colorado, volunteer-constructed trails tend to be the best quality singletrack. All in all, it's an interesting discussion about the economics and science going into singletrack trail construction. I know I've learned a lot over the course of it, so hopefully I'm not quite as "naive" as I started. Yes, it's been interesting! Hopefully none of the responses I posted came off as harsh or bitter or with any sort of heat. I personally have no axe to grind whatsoever. But I do think that it is an interesting topic of debate, and that different parts of the nation vary greatly on this topic. As I concluded in my last comment, there are many areas that will never be able to afford $300,000+ trails. But for the areas that can, that's great! That means there will be more amazing singletrack for us to come visit! So what do you think about the economics of trail building? I first rode Lucy's Loop last August, and this great new addition to the Levis Mounds trail network was just being started. At the time, it had just one teeter totter and one or two ladder bridges: nothing too spectacular. However, as of this may, this trail is almost complete, and man is it good! 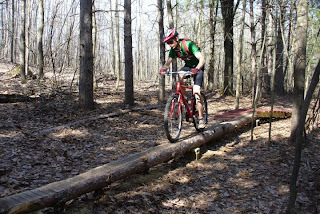 Lucy's Loop is basically a short ~1/2 mile long skills course featuring all sorts of low, slow-speed features such as teeter totters, skinnys, bridges, switchbacks, and one fast rock garden section. This isn't a daredevil north-shore style stunt course in any respect. The tallest obstacle isn't much more than 3 feet tall. That being said, does it need to be totally insane to be fun? Heck no! This is a short, entertaining ride just begging to be ridden 2, 3, 4. . .or more times in a row. The most appealing aspect to me about mountain biking is the challenge of it all. I've heard it said that technical riding is like a video game, where if you don't get it right the first time you can just go back and try it again and again until you finally nail it! Lucy's loop is like that. If you don't get it the first time, retry that obstacle, or run the whole course again. 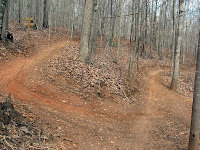 And even if you've finally perfected every feature, well, go ride it again, just for the fun of it! Lucy's Loop, Levis Mounds, Neillsville, Wisconsin from Greg Heil on Vimeo. Rider: AJ Heil. Photo: Shannon C.? Removed at the request of the authorities. I'm sure you've all figured out that I'm back in Georgia from all of my travels. While I didn't write any new content while I was away, I've been hard at work writing and editing videos since I've been back. The Pile Driver post was the first fruits of my trip, and expect a lot more posts about the trails I rode and experiences I had, beginning tomorrow! Stay tuned! 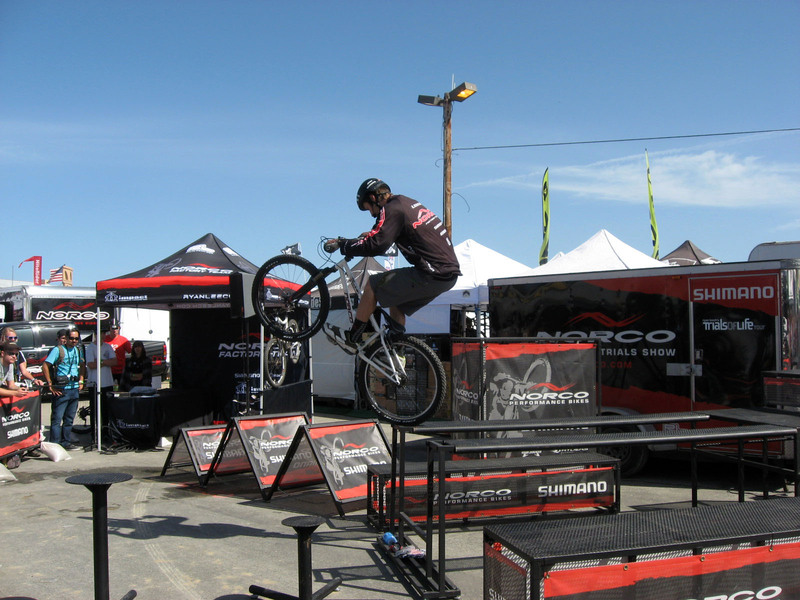 Ryan Leech of Norco Bikes performed two or three trials demos per day during the 2010 Sea Otter Classic. 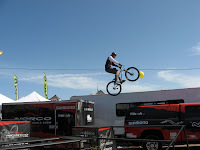 I was fortunate enough to head over with a bunch of the Airborne Flight Crew and catch one of his demos. Man, was it amazing! 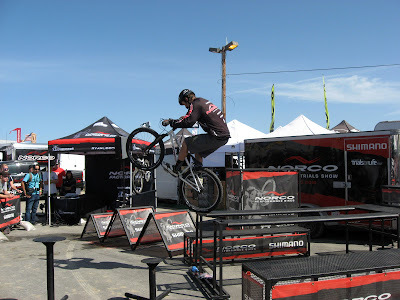 Trials riding is a discipline of mountain biking that truly baffles me. The amount of bicycle control required is almost otherworldly! You must know exactly where your wheels are, where they’re going, and how they’re going to get there. I showed my wife the massively famous video of Danny MacAskill, and she was absolutely blown away by the mad skills that he flaunted in those incredible lines! 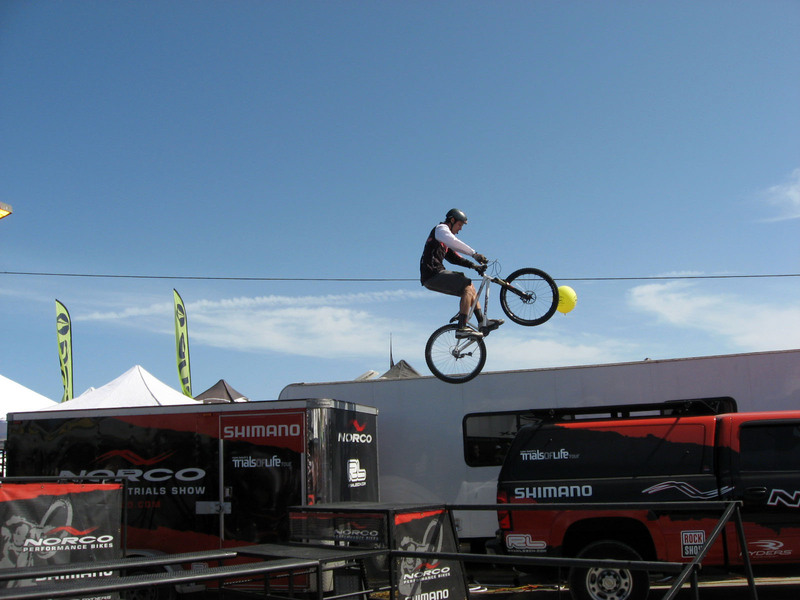 World-class trials riders such as Danny MacAskill and Ryan Leech truly push the envelope of what is possible on a mountain bike. There are still some holes in my cross training schedule. Specifically, I need to be spending more time working my upper body. While it may not benefit my cycling skills very much, I have the short, stocky body build that lends itself to having a decent upper body. I just don't take the time to develop or maintain it. Back in high school, I was much more muscular than I am now. I spent time bench pressing, doing curls, push ups, pull ups, and other upper body exercises. Last year, most of my upper body work outs came from rock climbing, which is an excellent, interesting way of working those muscles. This year, I haven't done any climbing, and essentially zero upper body exercises. This needs to be rectified, but to do it, I really need some dumbbells to do curls, and a place to do pull ups. I had hoped to rock climb on the weekend of the 1st and 2nd, but that outing got postponed due to rain. I am not perfect, and I have my weaknesses. Right now, one of them is my lack of upper-body cross training. Where are you weak in your cross training regimen? What do you need to work on? Ask for advice and give advice in the comments section below! Head north out of Crested Butte towards the resort, hang a left on Washington Gulch, and the trail starts a couple miles down on the right. Snodgrass runs between Washington Gulch and Gothic road, so you could start on either end, or loop it. If you are riding it as an out and back, park down on Washington so you can do most of the climbing at the beginning. I got a lot of use out of this book. It had solid descriptions! 3.5 miles out and 3.5 miles back, it's a pretty straightforward trail! Beginning down on Washington Gulch, it's pretty much a straight climb up to the top. Some of the climbs are long and steep, but definitely doable. 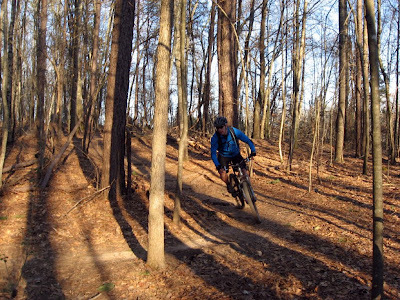 Snodgrass is a nice little trail that is super twisty through the trees, and just a fun ride. Coming back downhill is a great run, offering up some incredible flow. There's nothing super technical, but there are a couple of short, steep hills, but the dirt is so tacky they are completely doable. The greatest thing about Snodgrass is the scenery. 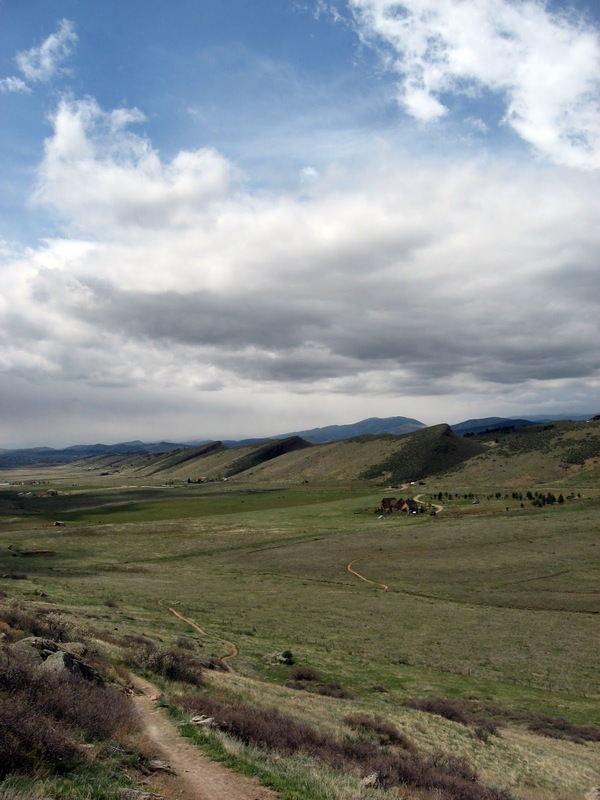 Whether it is winding through the tight, white aspens characteristic of this area of Colorado on beautiful black soil, or topping out on the ridge next to Crested Butte ski resort and looking out over the village and the valley, this short three and a half mile trail is a pleasure to ride! This is a beautiful, entertaining trail that's great for an after dinner ride, even if you've already had a long day on the singletrack! Sorry about the lack of photographs. 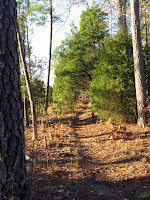 When I rode this trail, I was on a foolish philosophical kick where I thought that spending time taking pictures of places I visited detracted from being "in the moment" so to speak. Again, foolish, as who knows if I'll ever get to visit some of those places again? If you want, you can check out some pictures here. Climbing up Cooper Gap Road. From Dahlonega, head from downtown on Highway 60 (North Grove St.) past Lifetime Bikes. Go a couple miles past both of the schools, and then turn left at Camp Wahsega Road and then follow it all the way until it runs into Camp Frank D. Merrill. Turn left, and then left immediately into the parking lot of the white church. Park and ride from there. From Dahlonega, Georgia head West out of town on Hwy 9. Take a right onto Hwy 52, and then 4.6 miles later take a right onto Nimblewill Church Road at the old Grizzle's Country Store. Pass the Jake Mountain parking lot sign, but take a right at the Bull Mountain sign. 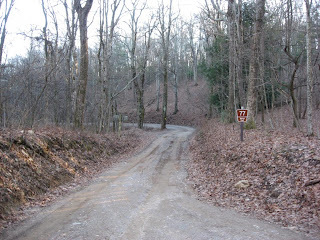 Continue right up FS 28-1 (don't take the left towards the Bull Mountain Trailhead) and drive until you reach the fork of FS 77 and FS 28-1. Park somewhere around there. 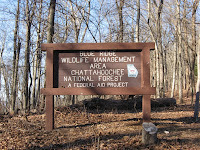 Google Maps interactive trailhead location. 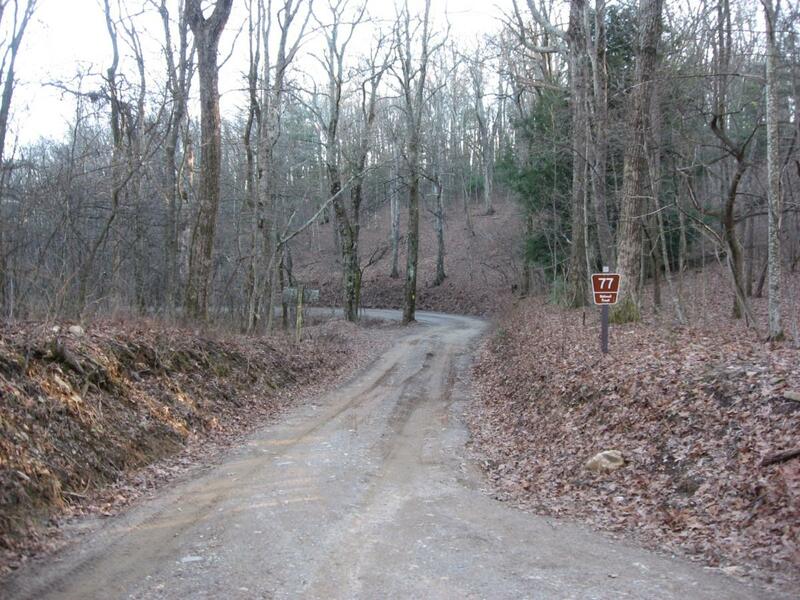 This is a popular 20 mile loop on gravel U.S. Forest Service roads. From Option #2, head down the hill (the right fork when coming up from Nimblewill Church Road), FS 28-1. 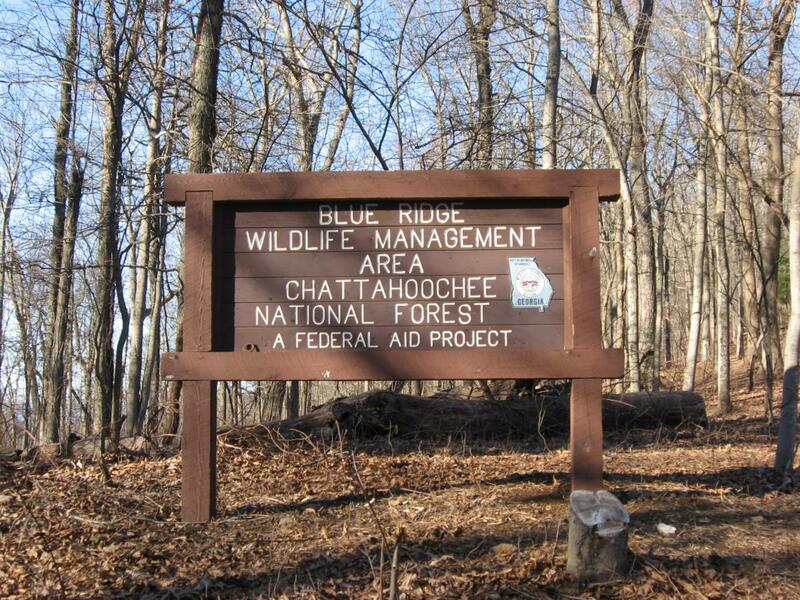 You'll be on this road for over seven miles, and during that time will climb past Camp Wahsega, past Camp Frank D. Merrill and Option #1 parking point, all the way to Cooper Gap at the top of the ridge. 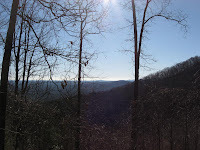 At Cooper Gap, bear hard left along the ridge. Keep bearing left whenever a road enters from the right, until you hit a big junction at Winding Stair Gap. Again, hang hard left and downhill (FS 77). Keep going straight until you reach your car. Hopefully it doesn't take you that long. Unlike the vast majority of the trails in my Trail Review Series, this is not a singletrack ride. 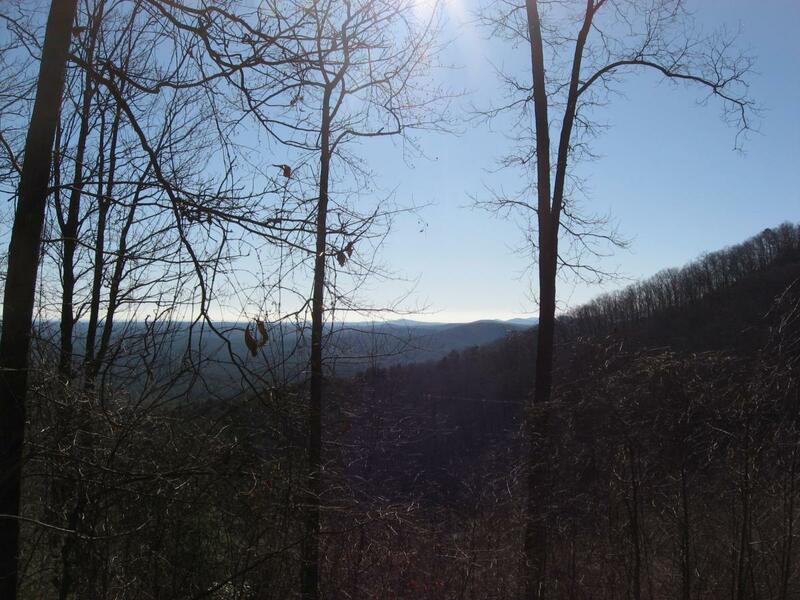 Rather, it is a grueling 20 mile gravel road loop that dishes up an insane amount of climbing for being located in the state of Georgia. I'm including it here because it is included in Jim Parham's Off the Beaten Track and is a very popular local training loop. 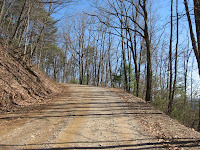 Most of the climbing gets taken care of in the first 7 miles, but once on the ridgeline the road continues to go up and down, up and down all the way to Winding Stair Gap. 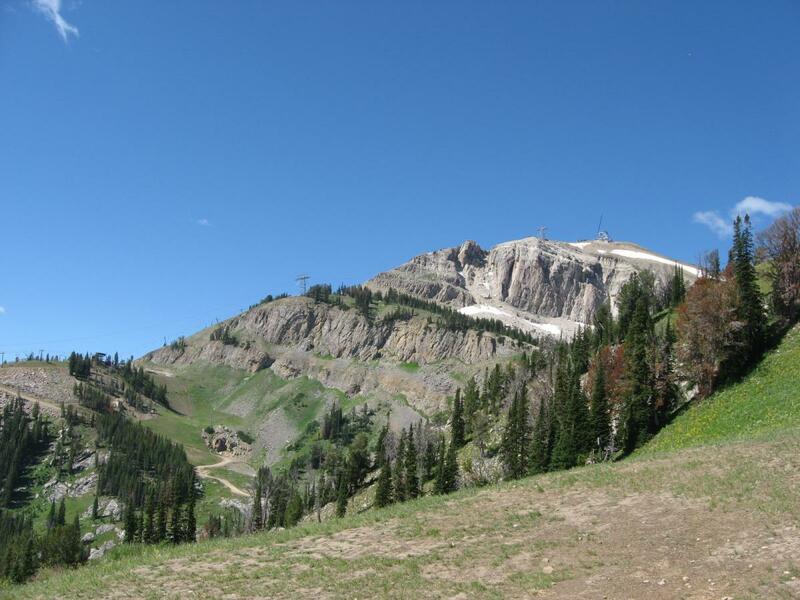 There is a LOT of vertical gain on this ride, so make sure to bring your climbing shoes! The drop down from Winding Stair Gap is fast and furious, and is a total ball! Despite the fact that it is a forest road, this descent is steep and pretty exposed, especially due to the insane speed that you can carry down it. This is a just the ticket after all of the work that's gone into the previous 15 miles. So hang on and enjoy! 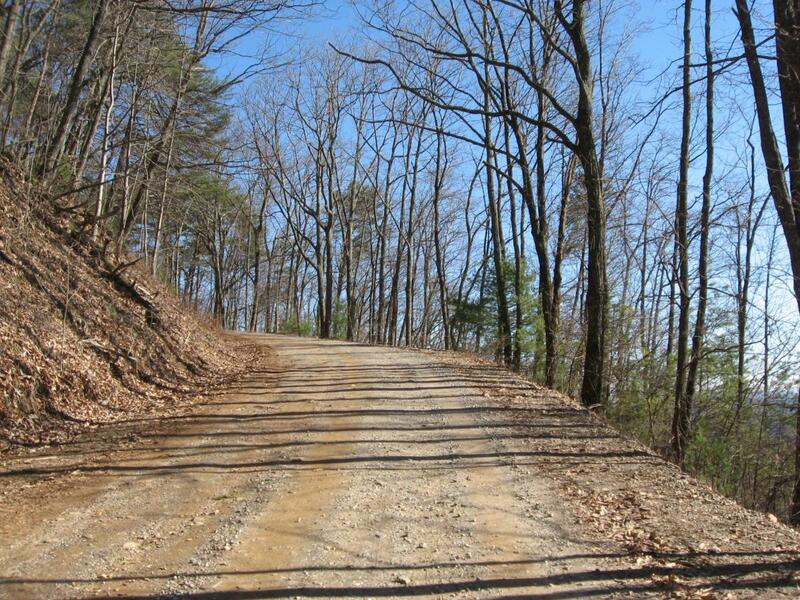 This is a great gravel road loop with lots of climbing, a steep descent, and some ridge-line riding. 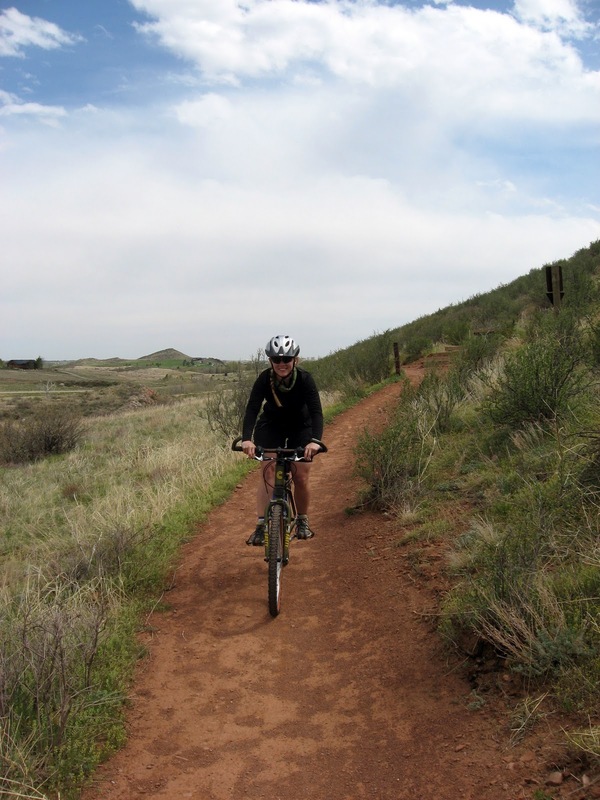 It is ideal for training, and riding whenever the singletrack is too wet. 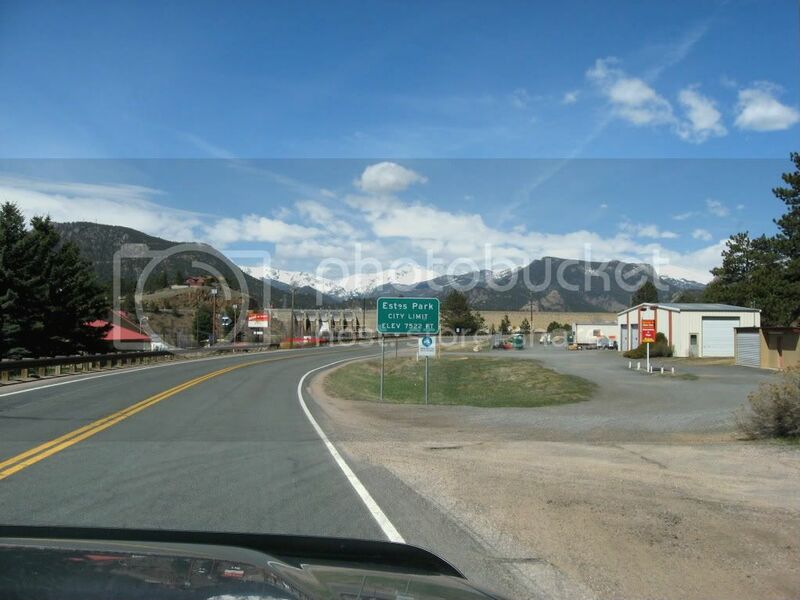 Follow the signs for Jackson Hole / Teton Village. There are a variety of options available. There are a number of beginner/intermediate loops lower down on the mountain. 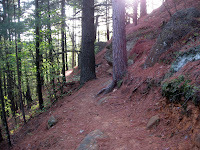 The trails aren't very challenging, but they are very well constructed singletrack. 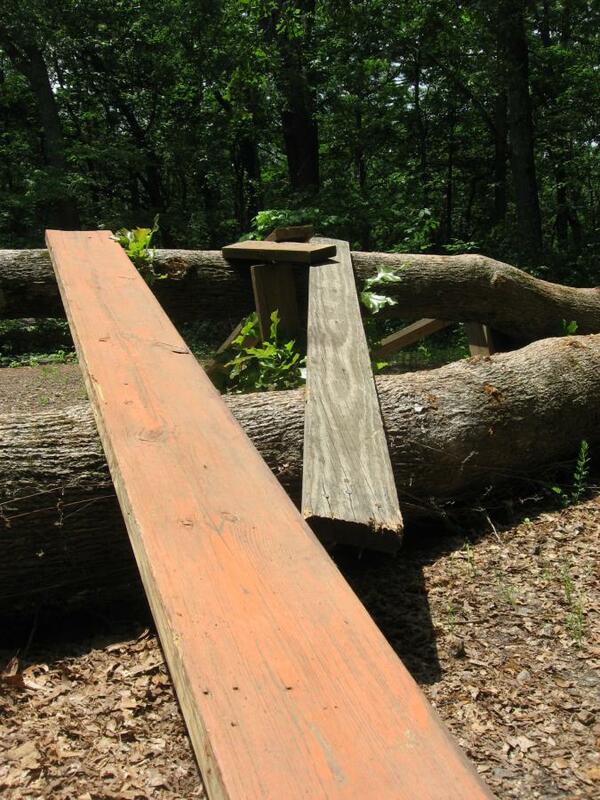 There is also a beginner terrain park with some log ride obstacles, jumps, berms, and a small wooden table top. And then there's the Gondola summit trail. The first 2 miles are sweet singletrack with some sweet berms, the next mile is decent doubletrack, and then the last mile mile and a half or so is just a gravel road. 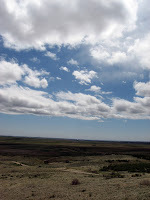 Its a pretty steep climb, and especially on the road there is a lot of people, but the views are worth it! And its definitely a good ride back down... thats why you're sweating buckets on the way up, right? I thought it would be a good idea to include that, as it has been a long time since I've actually ridden there. However, that description does need to be expanded on. The trails around the base of the mountain really aren't very challenging, but they are well-constructed singeltrack. 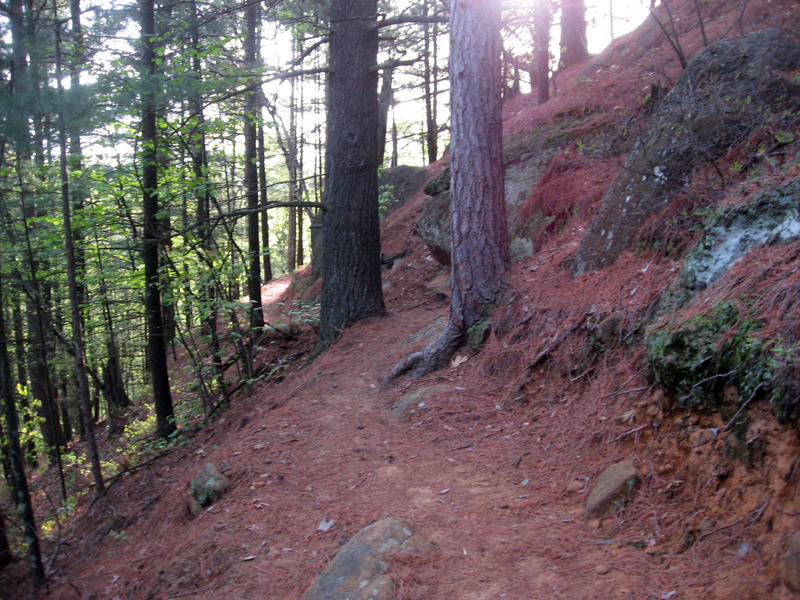 These trails are definitely worth a try, and are easy to access. Finding your way along them may be tricky, but even if you end up doubling back on yourself, these trails will ensure that you'll still be having fun! Paragliders, and the view from the top of the climb. 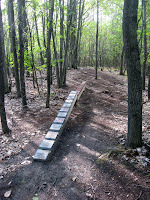 The "terrain park" area is definitely entry level, but the features are well-constructed in order to provide great flow. The small gap type doubles are perfectly built to float you in the air and land you right on the transition. This would be a great place to get into dirt jumping and/or freeriding! The grunt to the top is definitely the best workout on the mountain, and it affords stunning views of the surrounding area! However, the sense of satisfaction and immense personal achievement of completing the climb are almost reward enough, but the bomb back downhill really tops it off! Unfortunately, to reach the top of the ski resort you would have to hike, as the upper trails are not bike legal. If you are looking for easy-to-access trails with great views and beginner jumps, head to JHMR!